“The planned removal of the Senate President, Dr. Bukola Saraki by the APC should be stopped as it cannot stand”, part of his statement read. He disclosed this in a statement he disclosed to newsmen on Sunday. Introduction The crisis of misgovernance in the country has been accentuated by the official impunity of members of the ruling class. Hence, the executive is justifying disobedience of court orders while legislators regularly suspend their colleagues and carry out impeachment of Governors outside the ambit of the Constitution. Even though it has been decided by the Court of Appeal that a legislative house lacks the power to suspend a legislator both chambers of the national assembly and state legislative houses have continued to suspend members who disagree with their colleagues. And contrary to several decisions wherein the Supreme Court has meticulously outlined the procedure for impeaching governors by not less than two thirds majority of the members, 8 out of 30 members of the Benue State House of Assembly are said to have concluded plans to impeach Governor Samuel Ortom. Instead of calling the members of the APC involved in the charade President Buhari has washed off his hands like Pontius Pilate. Since the recent defection of a number of legislators from the ruling party has generated some controversy it is pertinent to examine relevant provision of the Constitution and decided judicial authorities on the matter. Impunity of Legislators By virtue of sections 39 and 40 of the Constitution which guarantee the fundamental rights of expression, conscience and opinions as well as freedom of association every citizens is entitled to hold political opinions and belong to political associations and change such opinions and association at any time. But such freedom is circumscribed in the case of elected legislators. Although cross carpeting by legislators was common in the first republic it has been prohibited by the 1999 Constitution. Thus, in Abegunde v Ondo State House of Assembly (2014) LPELR 23683 the appellant, a member of the House of Representatives had decamped from the Labour Party to Action Congress of Nigeria. 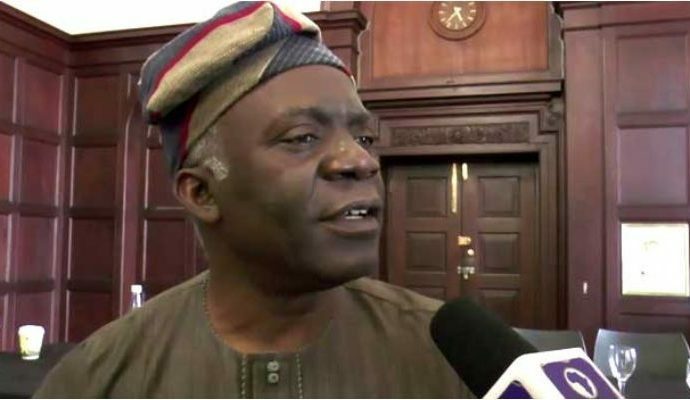 In justifying his defection the appellant claimed that the Labour Party in Ondo State was factionalised. Since the division of the Labour party was limited to Ondo state v the supreme court held that it did not affect the party at the national level to justify the defection. It was therefore decided that the appellant had lost his seat in the House of Representatives. Relying on the case of Atiku Abubakar v Attorney General of the Federation (2007) 4 SC (part ii) 62 the supreme court held that it is only a division, factionalisation or fragmentation that can make it impossible or impracticable for a party to function that can justify the defection of a legislator from one party to another. Otherwise the defector automatically loses his seat. From the clear and unambiguous pronouncements of the apex court, a division in a political party envisaged by the Constitution cannot be a figment of the imagination of prospective defectors. The division must make it practically impossible for the party to function. In the instant case, the APC was not split to the extent that two parallel congresses were held leading to the emergence of two parallel sets of officers at the national, state and ward levels. A recent example of the factionalisation or division of a political party was recently witnessed when the PDP broke into two factions led by former governors Sheriff and Makarfi until the faction led by the latter was recognized by the Supreme Court. No doubt, the members of the R-APC were dissatisfied with the running of the affairs of the APC but they did not hold any parallel convention which would have produced elected officials of the aggrieved members. To that extent the defection of the R-APC legislators from the APC to the PDP and ADC can be impugned under section 68 (1) (g) of the Constitution. However, since the APC had allowed legislators to decamp from the PDP to join its fold in the recent past the ruling party lacks the moral and political right to condemn the defection of the R-APC legislators. But the crass opportunism of the APC cannot legitimize the prostitution of the political system. It would be recalled that five governors had decamped from PDP to APC in 2014. While relying on the decision of the Supreme Court in the case of Atiku Abubakar v Attorney-General of the Federation (supra) I expressed the view then that the defection of the governors could not be successfully challenged by the PDP. In the same vein, I have opined that the defection or return of APC governors to PDP cannot be questioned by the APC. Since my view was limited to decamping governors in 2014 it is the height of intellectual dishonesty on the part of Dr. Doyin Okupe to accuse me of inconsistency. Whatever the agents of mischief may want to believe I have been as constant as the northern star as far as the interpretation of the Constitution is concerned. Senate President can only be removed by two thirds majority of senators. 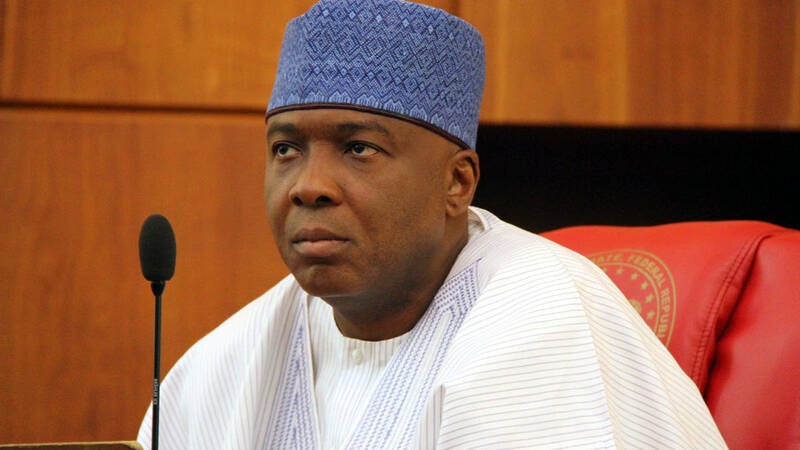 The planned removal of the Senate President, Dr. Bukola Saraki by the APC should be stopped as it cannot stand. The attention of APC legislators ought to be drawn to section 52 of the Constitution which provides that the President and Deputy Senate President can only be removed by the resolution supported by the votes of not less two thirds majority of the entirety of the members of the Senate. Since the APC legislators cannot muster the required two thirds majority of the votes of the entire members the plan to impeach Senator Saraki should be dropped forthwith. Again, the scenario playing out in the Senate is without precedent in our political history. When the accord of the National Party of Nigeria and Nigeria Peoples Party collapsed in the second republic, the Speaker of the House of Representatives, Honourable Ume Ezeoke of the NPP, a minority party in the House was not forced to resign. The election of Honourable Aminu Tambuwa as Speaker was made possible by the alliance of PDP and ACN legislators. And when he decamped from the PDP to APC Honourable Tambuwal was not asked to step down from the office of the Speaker. Therefore, the APC is estopped from demanding the resignation of Dr. Saraki as Senate President. Having decamped from the APC which sponsored their elections the R-APC defectors ought to resign from the legislative houses and seek a fresh mandate from the electorate. In order to curb the dangerous trend, some aggrieved members of the constituencies of the defectors ought to contest the legal validity of the refusal to resign from the affected legislative houses. Legal validity of defection by Governors However, the Constitution is silent on defection by the President and state governors from the political parties which sponsored their election. Hence, in Atiku Abubakar v Attorney General of the Federation (2007) 4 SC (Pt II) 62 the Supreme Court held that the defection of the appellant from PDP to the former Action Congress of Nigeria was not illegal and unconstitutional. On the basis of that judicial authority the decision of governors to dump the political parties which sponsored their elections was not challenged. I have therefore canvassed the argument that the defection of Governors Tambuwal, Ortom and Ahmed of Sokoto, Benue and Kwara states respectively from the APC to the PDP cannot be said to be illegal or unconstitutional.